"one of the worst business class"
Not Verified | Boeing 787-9 Seat was soft, good leg room, entertainment was good. But the shape of the foot rest made sleeping uncomfortable was i couldnt keep my feet in a good position (im 184cm) Privacy was poor. Air NZ business class seat is possibly one of the worst business class products around. Not Verified | We flew MEL/CHC on 07 September, emergency exit seat 11E, NZ898. Without a doubt the most uncomfortable, appallingly bad seat I've had to sit on in an aircraft for as long as I can remember. The seat back seemed to angle slightly forward, the seat base slightly back and so I felt as if I was being sandwiched. I had to get up and walk during the flight and on landing all I could think was "get me off this aircraft, now!" I was in extreme lower back pain and it took me some days to recover. The return flight NZ 883 to SYD on 12 September was only minimally better, I was able to secure a small pillow but the seat again had no recline. At least I wasn't in as much pain at the end of that flight. These two experiences ensure I sadly won't be back on an NZ aircraft again in the foreseeable future in spite of their awesome crew. "Legroom less than Singapore Airlines"
✅ Trip Verified | Bit disappointed but otherwise just ok. Legroom was less than Singapore Airlines but as a tall man I was able to be comfortable. 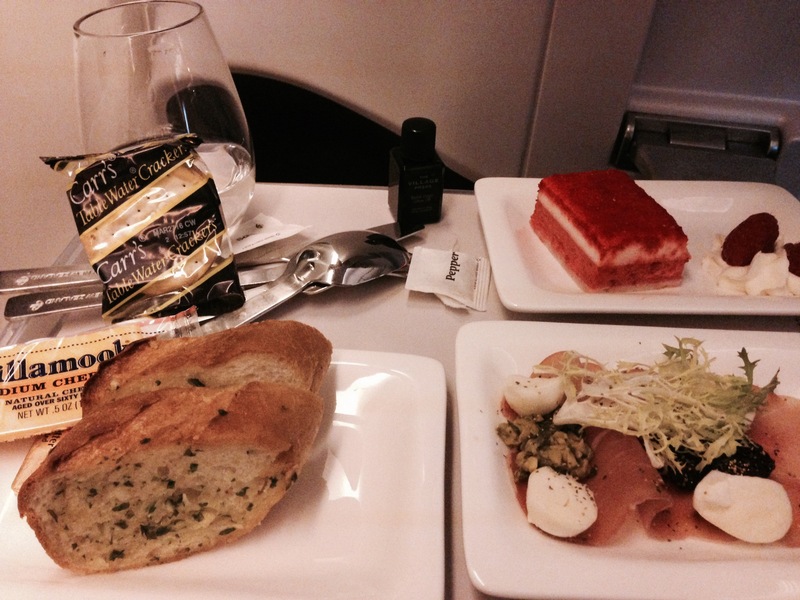 Not overly happy with the food but was ok. Singapore Airlines food was better. The crew were very nice except for 1 lady who I thought was a little crabby. Entertainment was good and the electric window shade I thought was brilliant. Sometime it is too bright to look out the window but don’t want the shade down where these electronic shading was great. ✅ Trip Verified | My flight in the Premium Economy cabin (seats 25A and 25B) from Hong Kong to Auckland was one of the best I have experienced. The legroom was better than the equivalent seat on Cathay Pacific the day before. The cabin crew were extremely friendly and efficient. The food was good served on china plates with metal cutlery. Lots of wines on offer, with generous top-ups. The AVOD was superb. We could use the toilets at the back of the Business Premier cabin, instead of having to go back through economy. 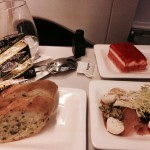 I would fly Air New Zealand premium economy again. "this worked very well for us"
✅ Trip Verified | This review is for the Sky Couch, which is 3 standard economy seats where the footrests are independently adjustable up to a fully horizontal level. After reading reviews on the sky couch, we were concerned that it was only appropriate for children. However, due to my wife's back issues, she needs to lay flat or on her side for any extended periods. That left us with either business or trying out the sky couch. So we risked it and flew RT SFO to Auckland and found that this worked very well for us. She was able to curl up on the two seats with footrests up while I sat in the aisle seat. We didn't attempt to both lie down. It seemed pretty tight for that. But it was good for her and a much more economical alternative to business. For complete details - she is 5'4" and I am 6'. 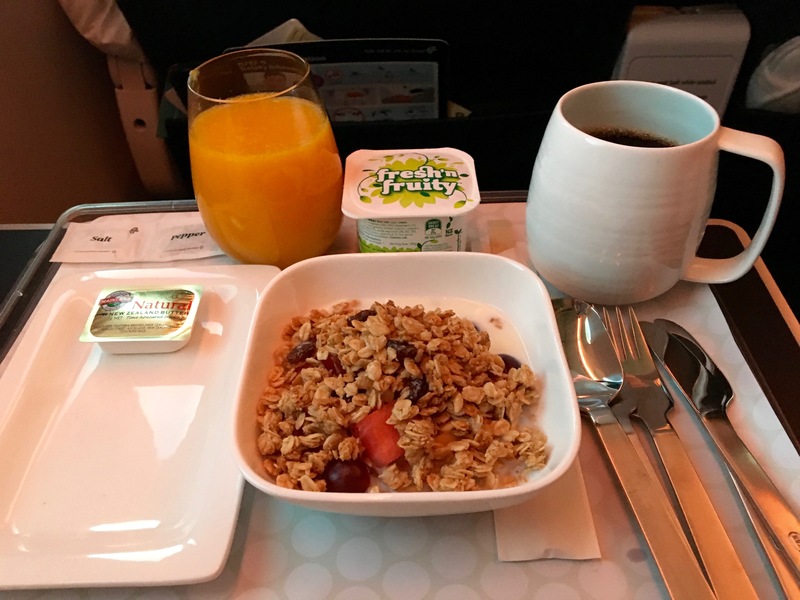 ✅ Verified Review | Been wanting to try the economy sky couch on Air New Zealand for a while now, and on this trip from San Francisco to Auckland we chose to pay an extra $600 to reserve one. Sky Couch sounds great in theory - you get special seats in a row of 3 that have fold up footrests that fill the space between your seat and the next row up. And maybe if you an an adult traveling with a child it would be a really good system. However, for two adults it is an exercise in discomfort and frustration. My partner and I are both 5' 7" and average weight, but we really struggled to find a position that was comfortable for more than a few minutes. I gave up after an hour and just sat up for the rest of the flight--between the seat belts digging into my back and the lack of leg space I was not going to get any sleep anyway. I was not happy. Bottom line: Absolutely not worth the money unless you are a very tiny couple or a single person traveling with a child. "pure discomfort and rude staff"
✅ Verified Review | Terrible seating, not much space and very cramped. Could not fit head on the backrest and every time I moved my seat back, I was told to put it back upright. No clear view of screen so could not watch movies in comfort. 12 hour flight in pure discomfort and rude staff. ✅ Verified Review | Most uncomfortable flight ever, in over 50 years of travelling. I had an aisle seat. However the person next to me was so large that he was unable to fit into his own seat so spilled across the arm rest into mine. Furthermore, he was unable to put his feet under the seat in front so one of his legs was in the space in front of me. I had to endure this for over 12 hours, Providing sears not big enough and then expecting me to give up part of mine is simply unacceptable. ❎ Unverified | Flying from Hong Kong to Auckland on a 777-200 featuring Air NZ's new interior, the flight was very comfortable. Recline is enough with generous legroom. The skycouch seats also have a legrest which is fantastic. The headrest was very comfortable. Being a 3-4-3 configuration the seat width is just ample. However this means aisle space is reduced. The monitor was clear with a good selection of everything. It also included USB power. "worst airline we have travelled"
✅ Verified Review | Family recently travelled to LAX and back from Melbourne via Auckland. In short this was the worst airline we have ever travelled on. Trip started well with a one up upgrade to premium economy and you can see why ANZ has done well in this category. However as we opted for the sky couch for the main leg you cannot bid for an upgrade and this is where ANZ really lets itself down. Pictures of the sky couch look very impressive however the truth is different. Dont know if they use tiny people but there is no way a small adult and 2 kids (of any age) can fit unto this space. Having 4 people in our family there was a need for another seat on the other side of the aisle. Economy seats for a so called international airline are the worst Ive ever seen. 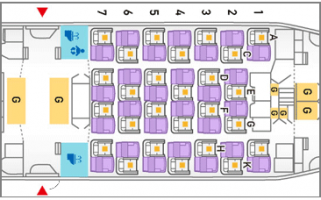 No width breadth or recline - simply terrible. Having to endure this on the return leg we decided to opt to bid for premium economy, however we had to give up a sky couch so that wasnt a tough decision. Saying that and having to endure the waiting timed via the customer service team who had on average a waiting time of 1 hour+ on 4 separate occassions, to place a bid because apparently no one ever had done this. Anyway our bid went through and the email confirmation stated that we'd hear 3 to 7 days prior if we'd be successful or not. When we heard nothing with 3 days to fo we called and were informed that we would now not hear anything till between 9 and 7 hours prior to the flight. With 7 hours to go we received an email stating we'd been unsuccessful and we'd lost the opportunity to rebook 2 sky couches (plan b) because we'd left it too late. Also due to protestors at LAX we were asked to arrive early because of potential disruptions. So resigned to the fact that we'd be flying back economy we were buoyed by the fact that our Auckland to Melbourne flight had been upgraded. However after arriving 4 hours early and dropping off the car we needed to walk 30 mins to the international airport. ANZ arent to blame for this of course, however the cabin crew were 3 hours late which is interesting considering they told us about the issue and all the passengers were on time. As a result connecting flights were missed, with no recompense in Auckland for those delayed. Our next flight was 8 hours later (currently writing this fron Auckland airport) and no airport lounge access was provided or upgrades given. To add in sult to injury we lost our premium economy upgrade, will need taxi fare to get home and have wasted a day of our lives. In summary this is the worst airline Ive travelled on and will never travel with them again. I ca'nt rate 0 or less so 1 is then lowest.